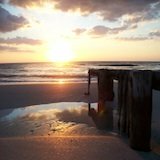 If you're looking for hotels in Naples Florida you're in luck! I've organized it so that it's easy to find what you need. So if you're here for business, a convention, workshop, or better yet - to vacation then just scroll down... your perfect fit is here somewhere! The sub sections will help guide you towards the right direction. I don't know about you but when I go on vacation, I want to stay in a place where if I want I can walk to places where I can enjoy myself. So I try to keep that in mind for you when creating and updating this page. 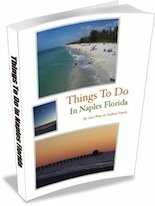 All of the hotels in Naples Florida that you find in this section are within the downtown / "Olde Naples" area. This usually means you can walk to the beach, the bay, downtown, the pier, Crayton Cove, Fifth Avenue, and Third Street South. It's one of my favorite places to be. And if I were to vacation here, this is where I'd stay. But I like it so much that I live here now... as I write this. It's a great place to be. As you might already know, once you visit for the first time you'll always want to come back. You might not ever leave! An awesome place on Naples Bay with great views in a perfect location with much to see and do. This is a 35 room hotel near downtown, the pier, the mall, the zoo, and more. Affordable. It has 98 guestrooms and is right on the bay. You can walk to Tin City and you can also catch the Naples Water Shuttle. This one is right on US 41 (Tamiami Trail N) next to the Zoo, the mall, and it'd take you just 7 minutes to bicycle to the beach. Also near downtown Naples. Great for conventions and/or vacations because of its location. That was a lot of rhyming. 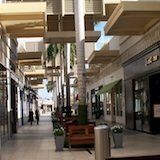 Most of everything in North Naples is more recently developed. 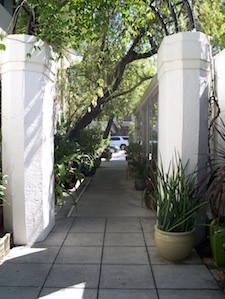 If you're like me, you like the Olde Naples area because of its historic look and feel. It brings you back to something neat. That's a shot of the tiny beach hut at Vanderbilt Beach which is in North Naples. But that's not to say that North Naples is not worth visiting or staying at. You should go here too! There is alot there that you might really enjoy. So let me show you some hotels you should consider in this area. This isn't too far North so you are right by Clam Pass and still not far at all from the downtown area (15 minute drive). Near Philharmonic Center. This hotel overlooks a private lake and is only a mile from the beach. 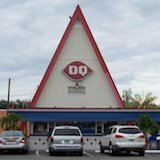 You're right by Vanderbilt Beach Road and US 41. Great value. You'll find the Hilton here to be pretty luxurious and it's perfectly situated in the center of Naples. 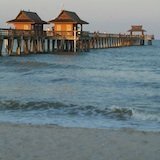 You'd be about one mile from the beach (clam pass) and centrally located by Pine Ridge Road. An affordable option that's still in a great location but not really within convenient walking distance of anything. If you want to golf make sure you see our golf section. But below are a few hotels that I know of that you'll probably enjoy. Being as you are a golfer and all. More than 10 minutes away from the gulf but perfect if you love golf because there's an 18 hole championship course on site and more.